Greek yogurt is undoubtedly the latest dairy product fad. And yet, it’s not really a new kid on the block, as it is part of the culinary heritage of the Middle East. It is in fact just an ordinary yogurt that has been strained. 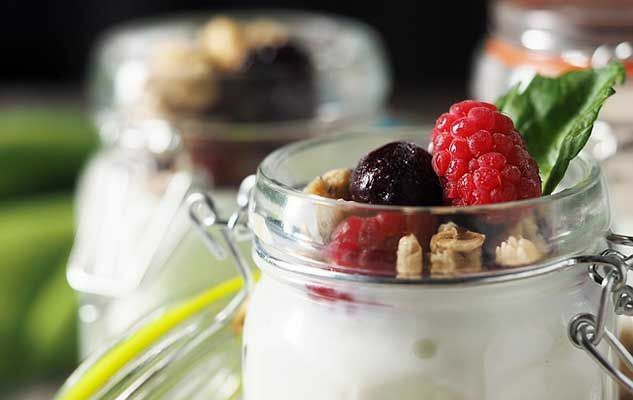 Which accounts for its thicker consistency and much higher protein content as compared to ordinary yogurts. Even non-fat varieties are thick and creamy, so they are an ideal substitute for sour cream in dips, and cream cheese in cakes. The only drawback to Greek yogurt is that it is more expensive than regular yogurt, because it requires more milk to make it. So make it yourself with just a strainer lined with cheesecloth (muslin). This can then be used in a delicious tzatziki sauce. Originally published in the Journal de Montréal on August 30, 2014.